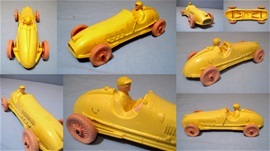 This model has yellow plastic wheels/tyres. 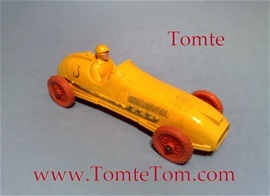 Silverpainted racing number"3"
These are made in Red, Blue, Orange and Yellow + faded versions! 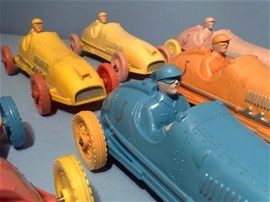 Red, yellow, blue and orange mixed with the car colours! 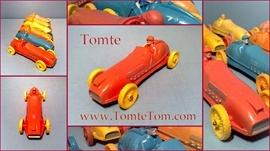 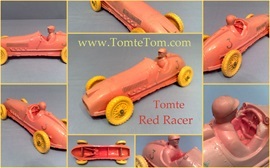 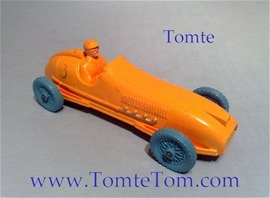 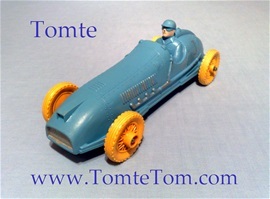 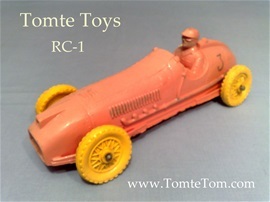 All models marked underneath with "Tomte - Lærdal - Stavanger - Norway"
This model has orange plastic wheels/tyres. 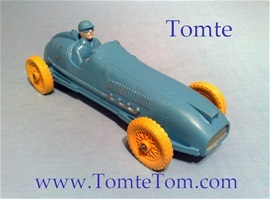 Silverpainted racing number"3"
This model has blue plastic wheels/tyres. 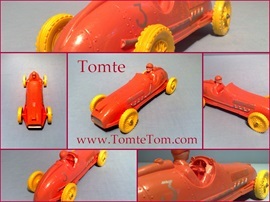 Silverpainted racing number"3"
This model has red plastic wheels/tyres. 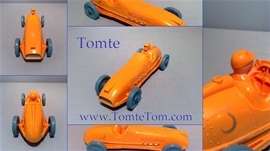 Silverpainted racing number"3"
These models are frequenly 4-Sale!